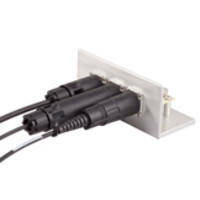 Available in aluminum or corrosion resisting steel, Raychem MTCT modular rectangular connectors accept standard ARINC 801 LuxCis(TM) optical termini in compact, lightweight design. 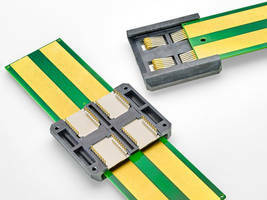 Four-position MTCT connectors feature quarter-turn bayonet quick disconnect or jackscrew mating hardware, keying, and fluorosilicone interfacial seal. Enhanced mating interface ensures optical alignment of termini, and only commonly available tools are required for installation. 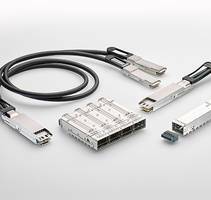 Raychem MTCT Rectangular Connectors now accept LuxCis(TM) termini. 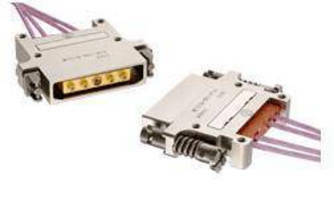 HARRISBURG, Pa. -- Dec. 22, 2008 -- The new Raychem MTCT high-performance modular rectangular connectors accept standard ARINC 801 LuxCis(TM) optical termini in a compact, lightweight design. 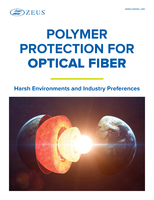 Since many common applications in aerospace and military applications use four optical fibers, the four-position MTCT connector eliminates the need to plug or seal unused contact cavities as would be required with common 12-termini systems. The result is significant space and weight savings. The connectors are available with either aluminum or corrosion-resistant steel shells, quarter-turn bayonet quick disconnect or jackscrew mating hardware, keying, and a fluorosilicone interfacial seal. An enhanced mating interface ensures optical alignment of the termini. Only commonly available tools are required for installation. The MTCT connector is based on the popular Raychem MTC product family of compact modular connectors. For high-density application, the MTC family uses a rectangular geometry that saves space compared to circular connectors. The MTCT uses the family's 1-inch shell size. For more information on Tyco Electronics high-performance Raychem MTCT connectors, contact Tyco Electronics' Product Information Center at 800-522-6752.